In the Green Cemetery Index Eliina is spelled Elina. Patronymic Antint. Eliina would go by the name Elaine. Elena married John Hokkanen in Finland where they owned a flour mill, inn and had a home on a large lake. Eliina and her family left Finland during the "Russification of Finland". Finland was a Grand Duchy of Russia which gave it some autonomy. During this time Russia was attempting to impose more control over Finland and reduce its independent status. Prior to being a Grand Duchy of Russia, Finland was part of the Swedish Empire until 1806. It wasn't until 1917 that Finland declared its independence from Russia. The Sunday School was begun in 1915 and was held in the Finnish language. In the early years the children would go to Mass, Michigan for confirmation instruction and would board out in the homes in Mass. 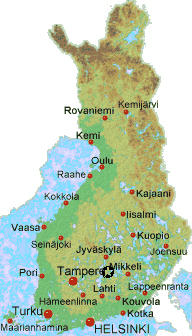 The Finnish language was the tongue of the founders of the Green congregation and was the language which prevailed for many years. Finally, with the passing of the pioneer generation, the English language held sway. New officers were elected. Treasurer John Hokkanenn. 1. Church: Green Evangelical Lutheran Church. 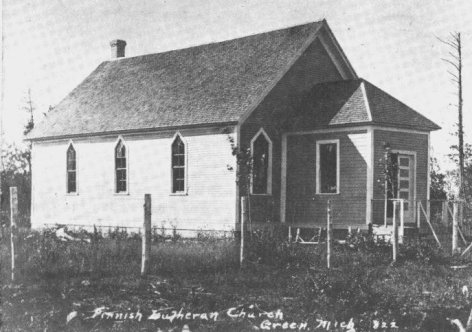 This is a picture of the Green Evangelical Lutheran Church where John Herman Hokkanen was listed as Treasurer and his wife, Eliina, was listed as Sunday School teacher in 1919. 2. Emigration. 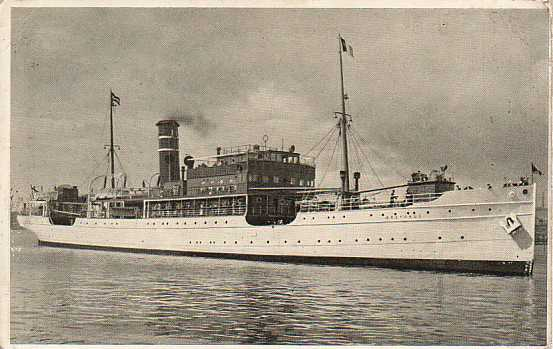 Eliina Liukkonen emigrated from Finland on June 16, 1909 leaving from Hanko. The ship was the Arcturus. 3. Cemetery: Carp Lake Township (Green) Cemetery: Green, Michigan (Upper Peninsula). 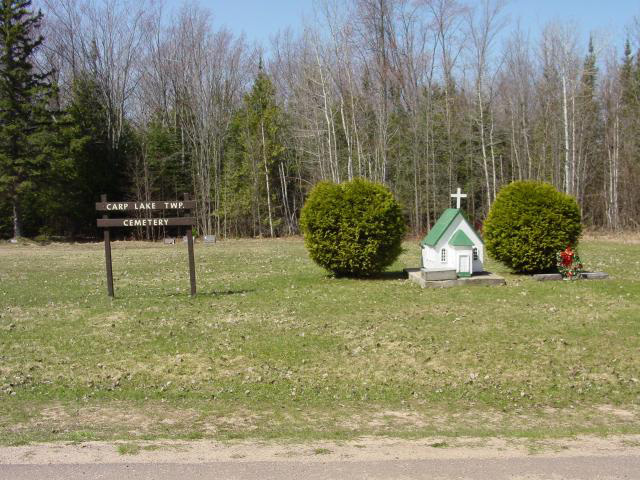 This is a picture of the Carp Lake Township (Green) Cemetery, Ontonagon County, Michigan. Notice the model of the Green Evangelical Lutheran Church. 4. Cemetery: Carp Lake Township (Green) Cemetery: Green, Michigan (Upper Peninsula). 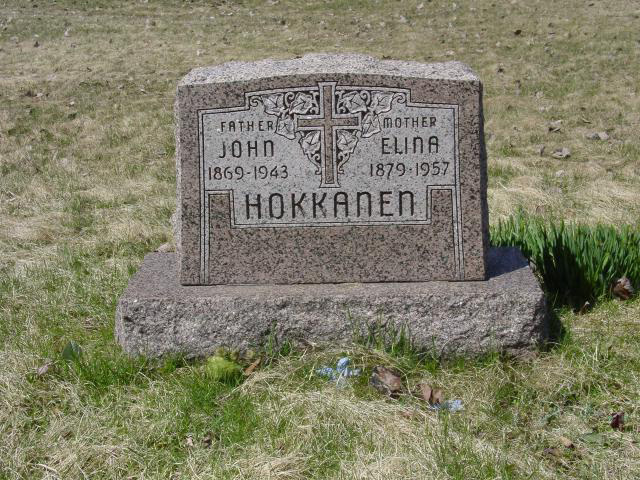 This is a picture of the John Herman Hokkanen and Elina Liukkonen grave marker. 5. Place: Joutsa/Leivonmaki Location. 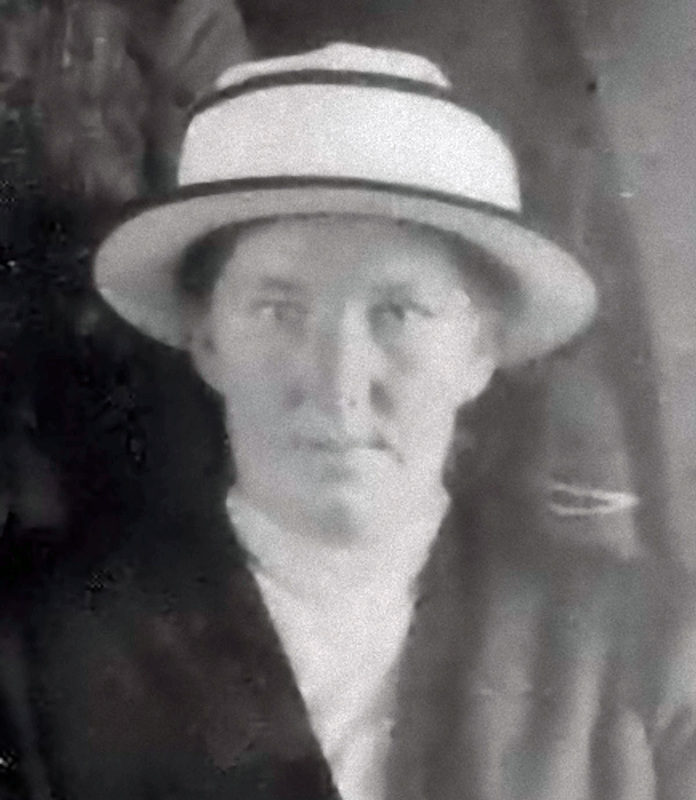 Eliina Liukkonen was born on July 18, 1879 in Joutsa, Finland. Joutsa is located where the star is on the map.